Midmar Church, built in 1787, is well worth a visit. It sits on the top of a hill in a beautiful rural setting. It is exceptional in that it has the combination of a church and a stone circle on the same site. As you walk around the church, look out for the interesting pointing on the walls; where small stone chips have been inserted into the cement. 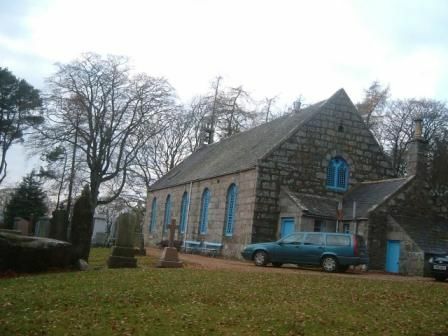 At the rear of the church you will discover one of the most well preserved Recumbent Stone Circles in the North East of Scotland. lt is estimated to be over 4,000 years old. Once inside, notice in particular the old paraffin lamps, the wooden collection ladies and then take time to enjoy the peace and tranquillity that the sanctuary provides.